My dinner at Cucina, Marco Polo’s prime restaurant exceeded all my expectations! I was pleasantly surprised at the array of dishes spread out on the buffet. I commented to Francis de Leon, Director of Communications, that my dinner was truly a gustatory experience. I could site countless reasons why I should go back to Cucina for another gourmet feast but here are the top 7 reasons on my list. Let the taste buds witness a spectacle of gourmet fares, seven days a week, as it highlights signature dishes along with Cucina’s comprehensive spread of Continental and Asian cuisine. 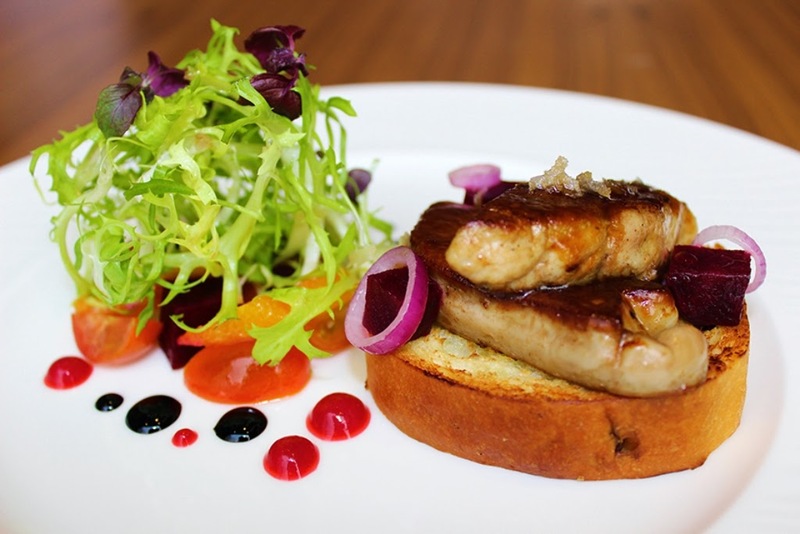 Start the week with a rich, buttery, delicate and classic French recipe that is Pan-fried Duck Liver with spring salad, sautéed apple cider dressing and calvados glaze for Monday. 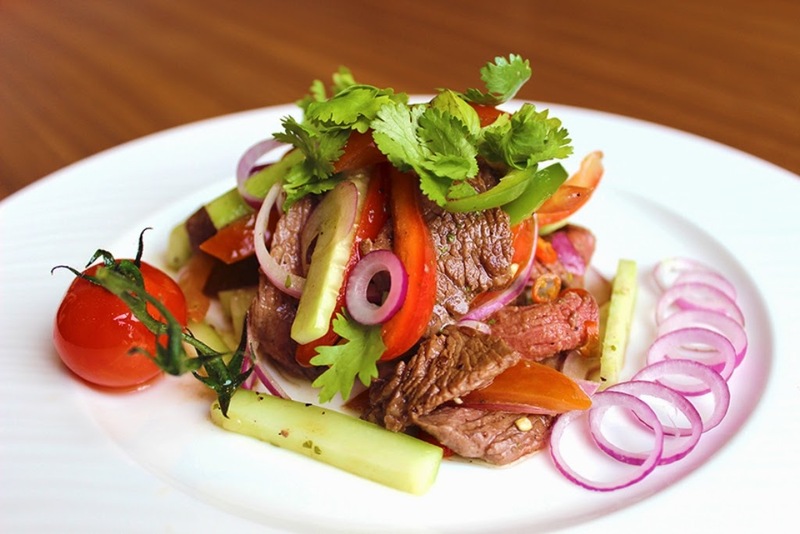 Have a fresh and healthy Tuesday fix by having a Warm Thai Beef Salad topped with grilled tender filets of US beef mixed with traditional Thai dressing and chili. 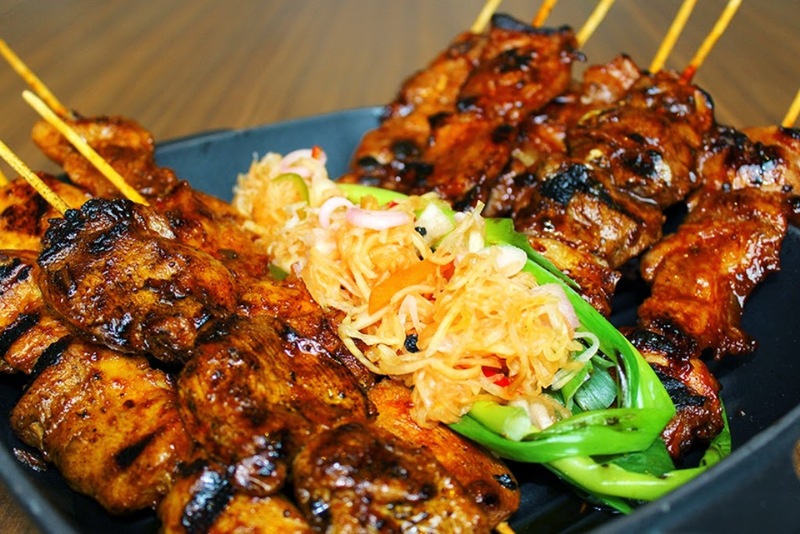 A home-grown treat is on its way every Wednesday with the Filipino Barbecue Pork and Chicken marinated with lemon, garlic and soya served with atchara. 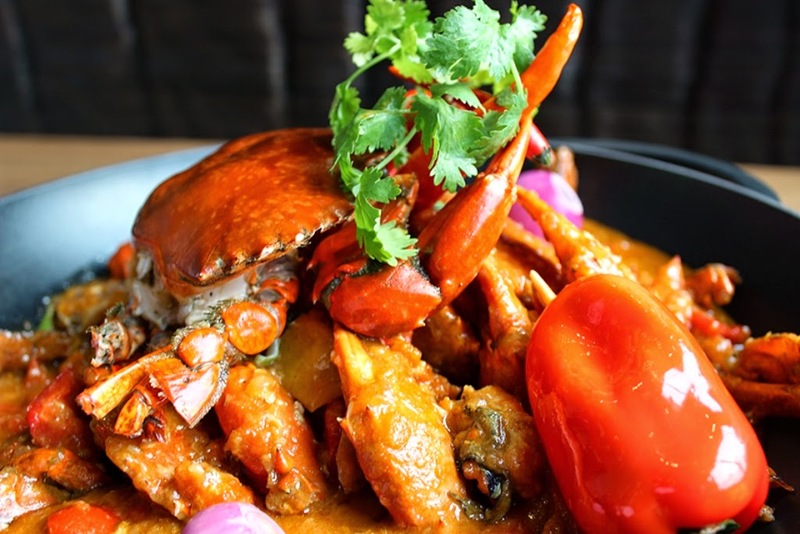 Marco Polo Ortigas Manila’s award-winning Hong Kong chefs will take over the kitchen every Thursday to serve-up artfully handcrafted dim sum and specialty Chili Crabs prepared Cantonese style. There is always a reason to celebrate every Friday with French Mussels and French Fries. 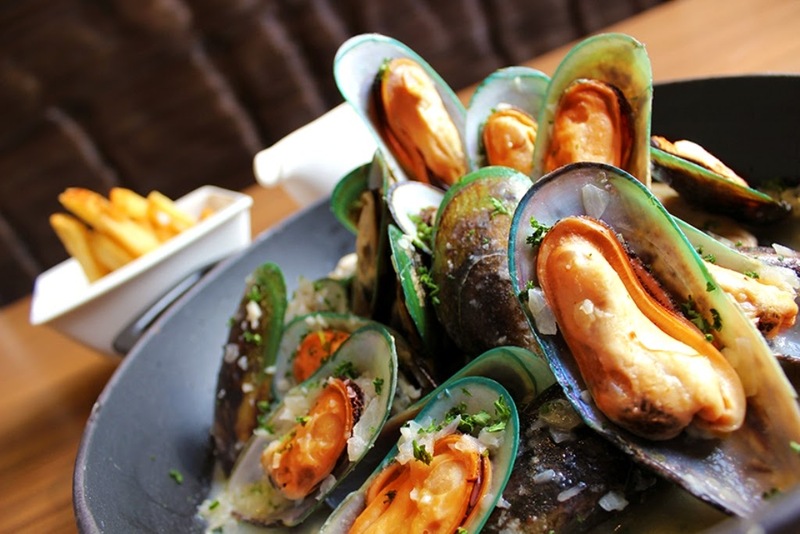 This Friday treat will showcase the finest imported mussels prepared in the age old tradition of Moules Mariniere exquisitely braised in Chablis wine, herbs, garlic, dairy butter and beer to give the dish an extra kick. 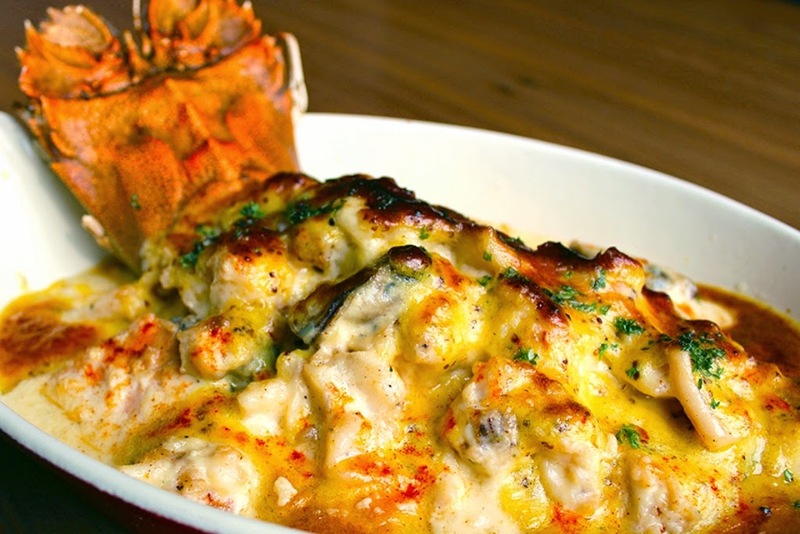 Saturdays will be made more special with the home-cooked goodness of Warm Rock Lobster Thermidor. These are half rock lobsters sautéed with shallots, brandy, white wine and tarragon served in a mustard flavoured cheese sauce. Savor on an exquisite dish every Sunday by having a slice or two of the Filet of Beef Wellington (Boeuf en Croute). 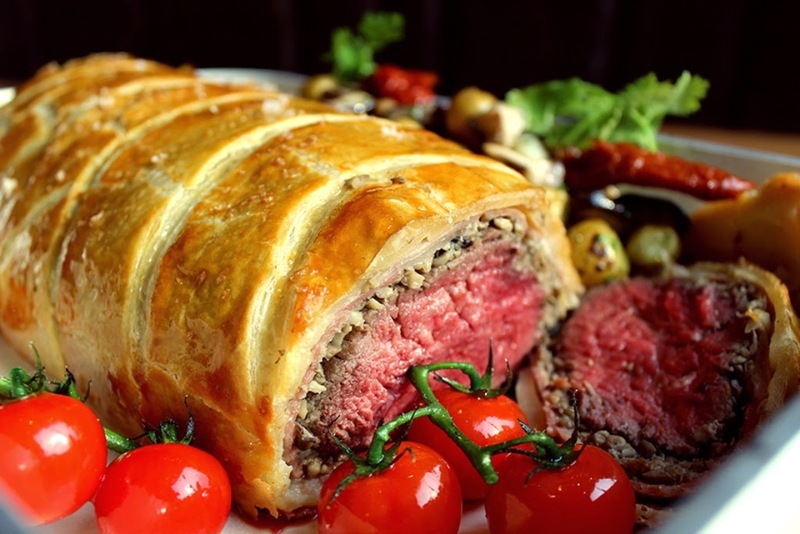 Relish on a Prime US Beef Tenderloin coated with pâté and duxelles, which is then wrapped in puff pastry then baked to perfection. This family dish is complemented with potato gratin and madeira sauce. Marco Polo Hotels' Hans Hauri the Big Boss with a bigger heart and myself. Cucina is open daily for lunch from 11:30 AM to 2:00 PM and dinner from 6:30 PM to 11:00 PM. Buffet price starts at 1,400++ per person while an ongoing promotion of 3+1 buffet is being offered to diners until May 31, 2014. Marco Polo Ortigas Manila’s all-day dining restaurant located at the 24th floor of the hotel tower features live open kitchen with specialties from the world’s culinary capitals. The refined and fashionable Cucina lets its diners experience bespoke buffets and an original a la carte menu in a stylish setting where attention to every detail is supreme. It is a well curated showcase of international smorgasbord that impresses in flavors and not in size. Benjamin Roy Rendell or Chef Ben takes over the entire kitchen operations and food promotion for Marco Polo Ortigas Manila and brings with him over 36 years of experience in top international hotels. Chef Ben’s exposure to different cultures from countries around the globe has added to his culinary style. He believes in showcasing the purity of the product through simply prepared classic dishes presented with a modern day approach. His management skills and creativity in the culinary arts have been recognized within the industry. He won Gold from The Salon Culinary Bahrain, Bangkok’s Best Brunch, and Best Buffet and Grill in Thailand for five consecutive years. This award-winning chef has cooked for the likes of Queen Elizabeth II, presidents and prime ministers around the world at state dinners.